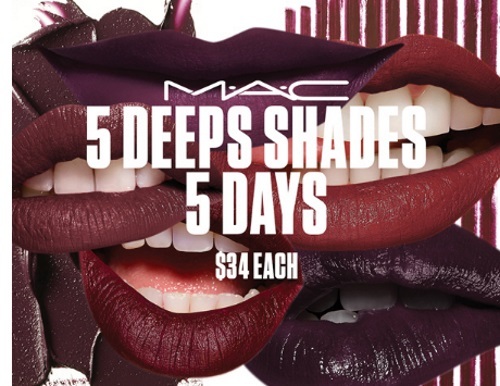 MAC has a great deal on now! Get their Lip Duos (lipstick and matching lipliner) in deep shades for only $34 ($42 value). This offer is available in 5 days for only 5 days! Plus get a Free Scent fragrance sample with the promo code SCENT, we blogged this earlier here.